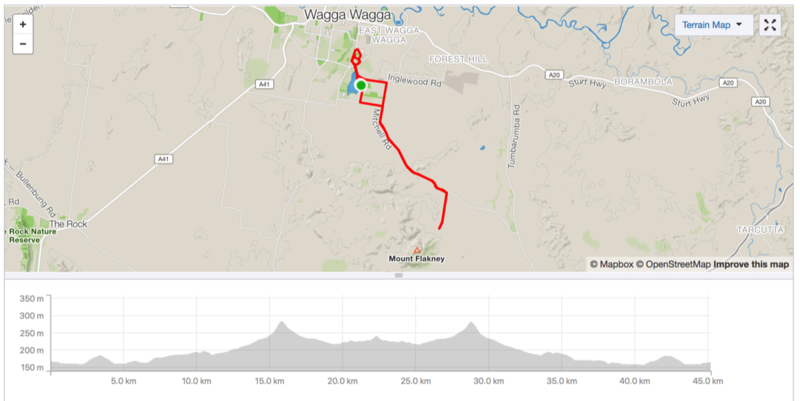 Regular Rides | Bicycle Wagga Wagga Inc.
Click the links below to further explore the various rides. The regular Sunday ride is the original social ride conducted by BWW. We go for about two hours and finish at a nominated suitable location for refreshments and conversation. NB: The start time reverts to 9:00AM in March until the conclusion of Daylight Savings. If in doubt about the starting time please contact Emilie Graham, on 0409 317 395, to confirm the times. Please be there a few minutes earlier than the nominated time so that you’re there to hear the Ride Leader’s briefing so that you know where to go on the ride and where to go afterwards. Below are some samples of the various rides undertaken on a Sunday. Maps with a yellow border can be clicked for more information from RideWithGPS. The Coffee Grinds is a ride of between 30 to 40 kilometres, although some people have been further, on a Wednesday morning. 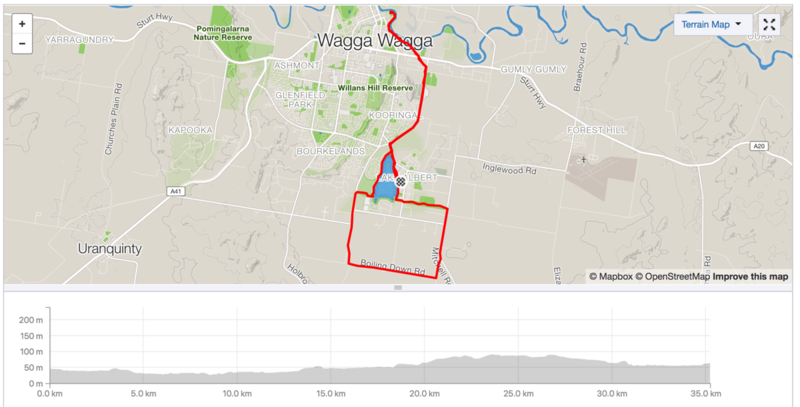 This ride starts at 9:00AM from the Kooringal Tennis Club car park which is located in Henwood Park just off Lake Albert Road in The Boulevarde. During the summer months, December, January, and February the ride starts at 8:00AM. The ride generally takes about 2 hours. It finishes at the Kooringal Mall for morning tea. Below and right are some samples of the various rides undertaken on a Wednesday. The Fat Tyred Ride is a ride that requires a bike with fat tyres. Held mainly on tracks and cycleways there is little interaction with traffic however some of the terrain requires that you use a bike with suitable tyres. A mountain bike is ideal however a hybrid or touring bike with fat tyres would do the job but it’s definitely not a ride to take a road bike on. The ride is held on the first Sunday of the month. 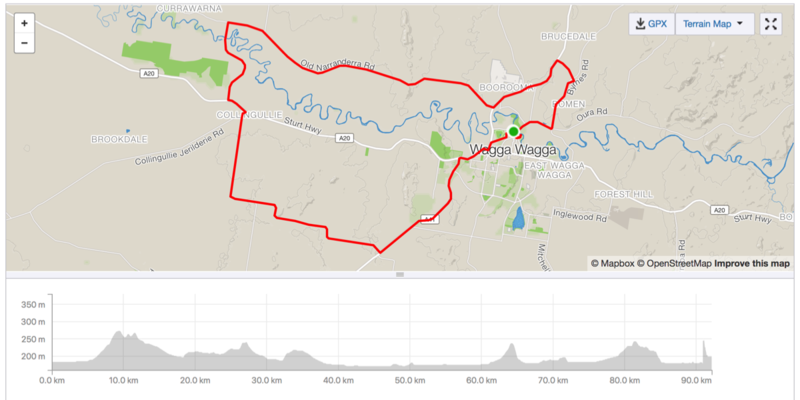 The ride leaves from the Wagga Beach at the same time as the Regular Sunday Ride. Call David Neil on 0419 211 137 to confirm the departure time. Be there a bit earlier to ensure you are ready to roll at the nominated time. Below are some samples of the various rides undertaken for the Fat Tyre Ride. The Long Ride is a road ride of about 100km. There are a number of loop rides available so it’s a good way to get out and about the local area. This ride is generally held on the second Sunday of the month. The starting venue and time varies from month to month. Call Ray Loiterton on 0429 402 240 for information about this ride. Below are some samples of the various rides undertaken for the Long Ride.